Woo-hoo! You’ve got the app downloaded on your smart phone. 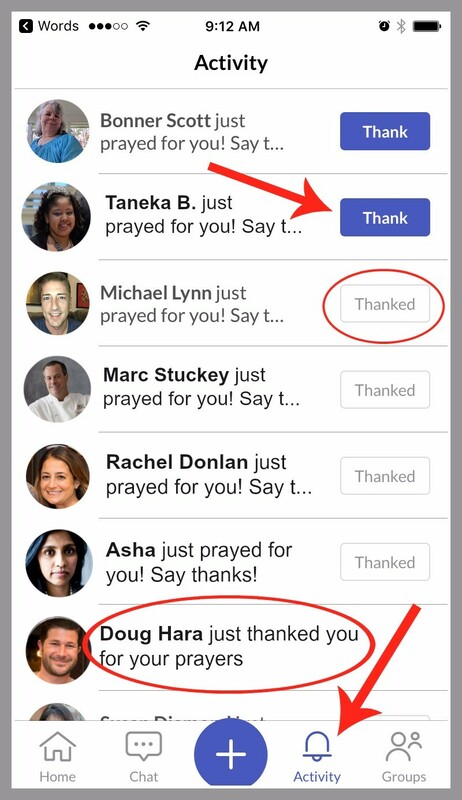 You can post a prayer, express gratitude, share a praise report, daily inspiration, and so much more. Type it out or talk it out – choice is yours. You’re in a sacred community where your spiritual self is appreciated. 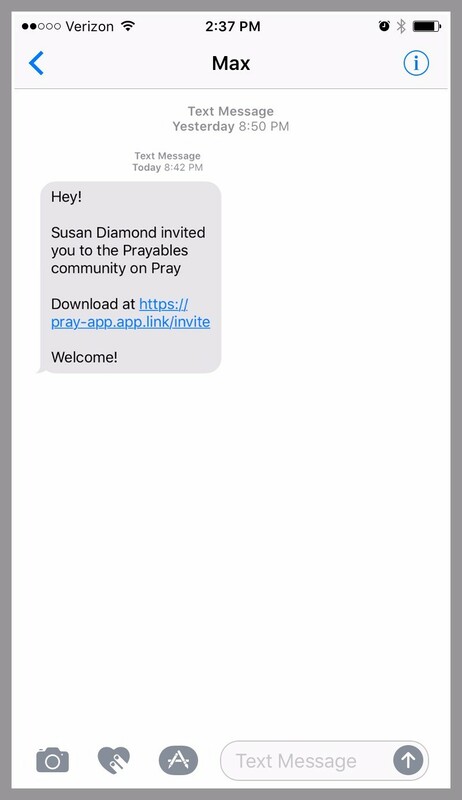 Make new prayer friends and invite your own to join. Find out all the glorious things you can do to improve your prayer life and help others with theirs. 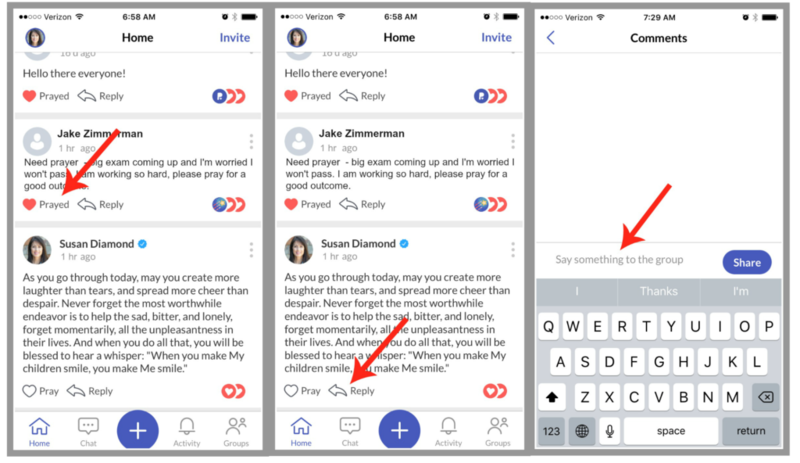 Here’s how to use the Prayables Pray App. 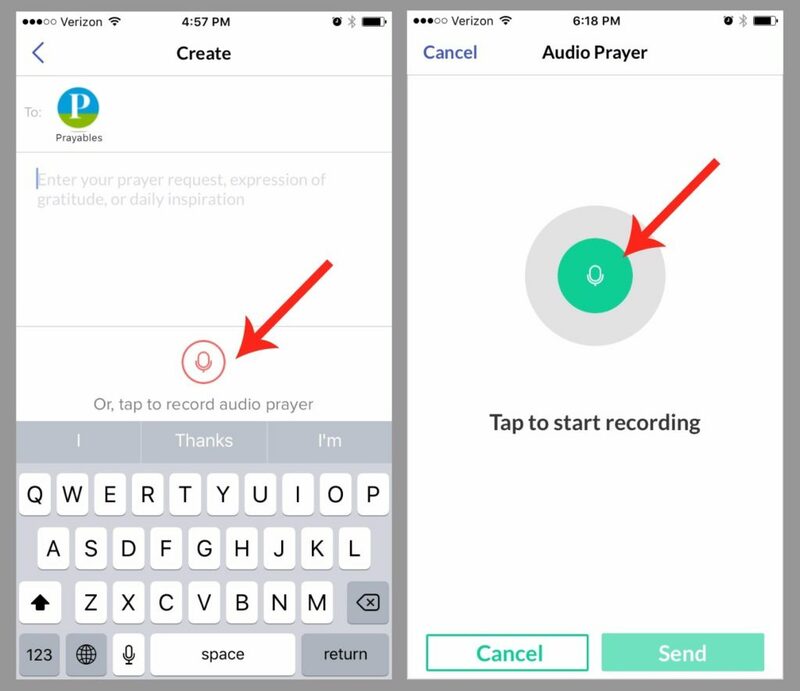 Tap to start recording you have 60 seconds of recording time, so be prepared! 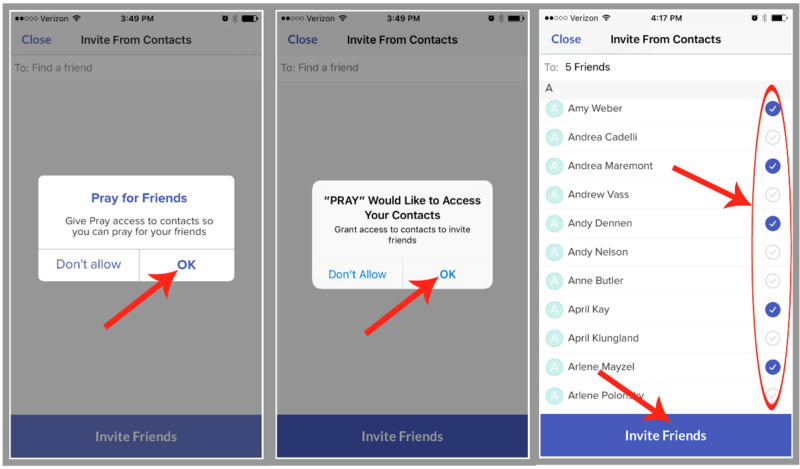 Sending a private message is just like posting a prayer or audio prayer to the community. But this time you control who gets it. 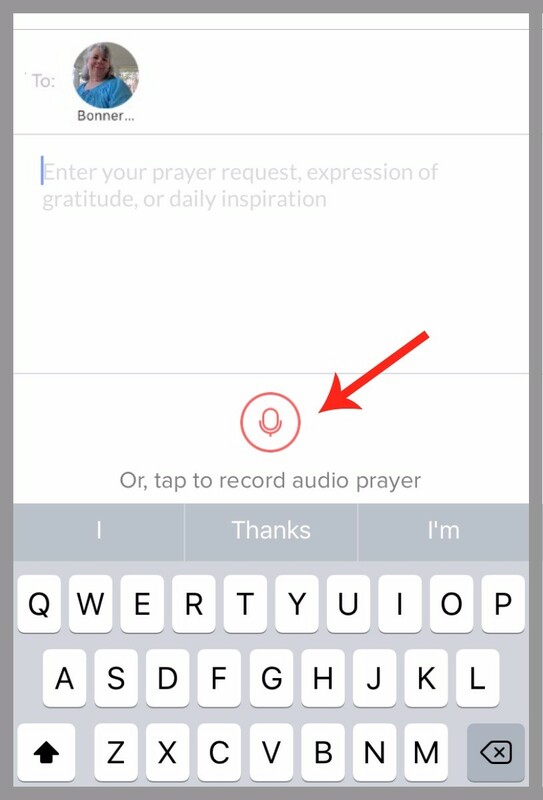 Want to send a private audio prayer message instead of text? 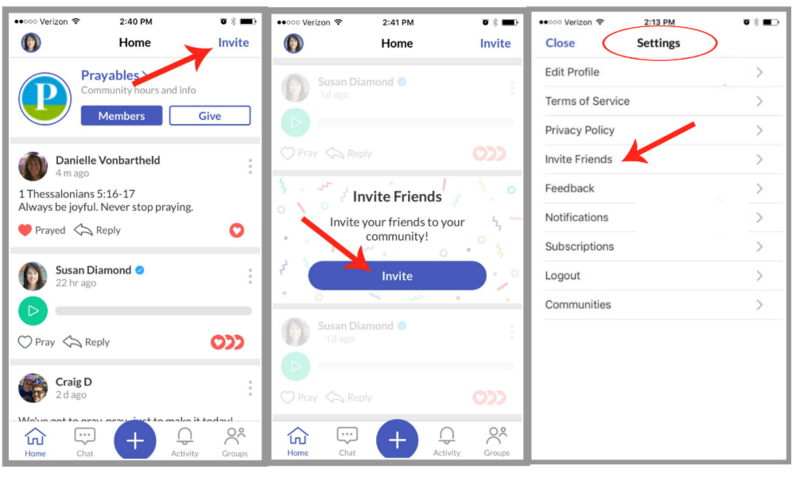 Find your picture icon, upper left corner of Home page, tap to open. 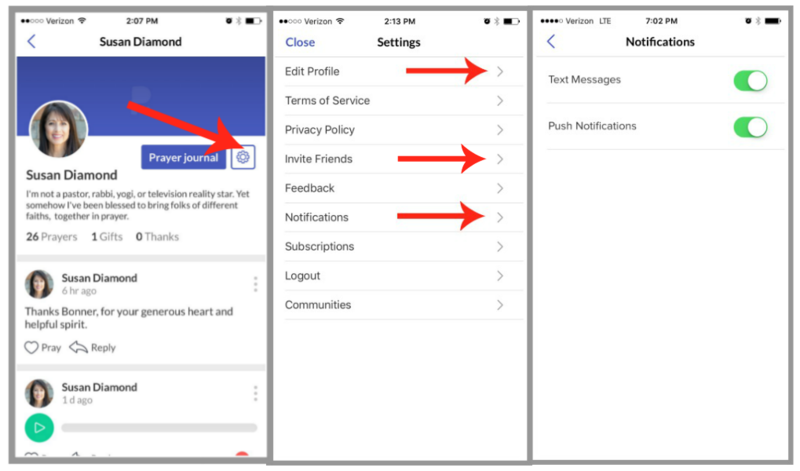 Tap the blue Prayer journal button to open. 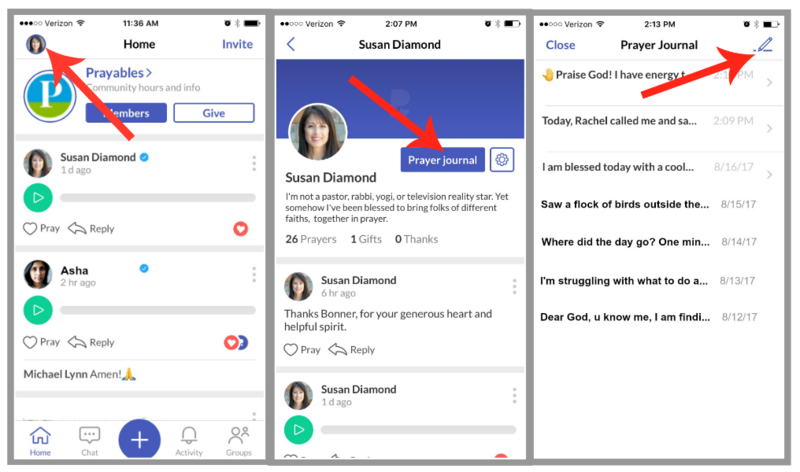 Use the pen icon to the right of Prayer Journal to begin writing. What to do with settings. It’s important to have your notifications turned on to green, we won’t bother you with a ton of messages but you’ll get the most from the app when all systems are go! 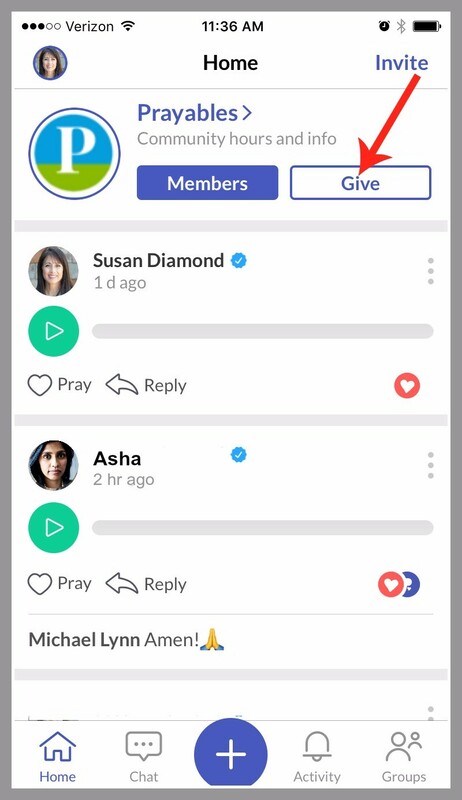 Honor your prayers with a donation to Prayables – and support prayer everywhere!